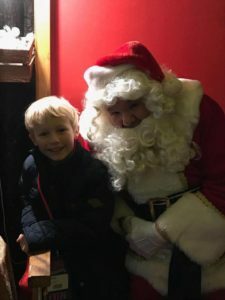 This year, we decided to visit Tong Garden Centre to see Father Christmas. It is situated to the west of Leeds so is perfect for meeting friends from West Yorkshire. Easy to get to and approx an hour from Malton. As you can expect, Henry and Eliza were excited! We got there early as we had been warned it can get busy. We arrived at 10am and parked easily in the car park. Santa was booked for 11.50am so we had a good look around the Garden Centre. It is well laid out with literally everything you could hope to see in terms of Christmas decorations. There are gifts for all the family and a lovely food hall, where we bought our supper! Great place to put together a bespoke hamper for presents as well. We had brunch in the cafe, which was very nice and easy. There was a short queue for hot food but we had no problem finding a table. A deal was struck with Henry and Eliza – eat all your lunch and we can have cake after Santa! Clean plates all round! 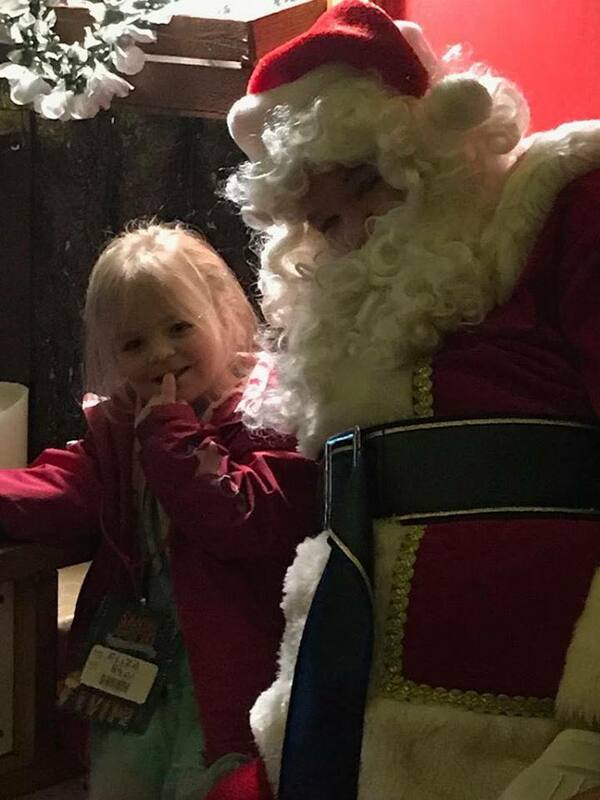 The Santa experience is lovely. 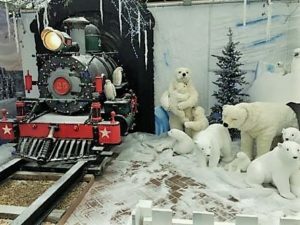 You walk through The Arctic Tour to the Grotto with all little details taken care of, each child gets a “VIP” lanyard which makes them feel special. The Elves are great, telling you stories as you go. It is interactive and enjoyable. There are 3 areas, the Polar Express, the Elves Toy Shop and of course the chance to meet Rudie (as Rudolph likes to be know to her friends). We were in a group of approx 8 children who were all engaged in the story throughout, helping with stacking parcels, collecting carrots etc. The length of time was perfect for short concentration spans and the jokes age appropriate. 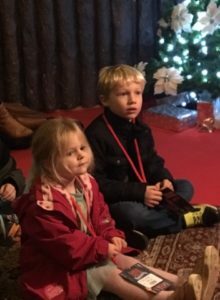 Once in with Santa, the children sat captivated. 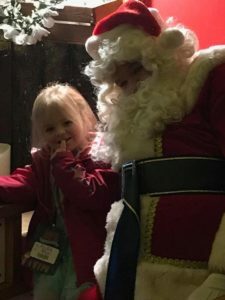 The room is not intimidating for a shy child and the Santa very authentic (in my opinion). Each child has the opportunity to come up and sit on the bench with Santa to tell him what they would like and for parents to take the obligatory photo. The timing of this was again just right. For shy children and younger children, there is plenty of room on the bench for mum or dad too! 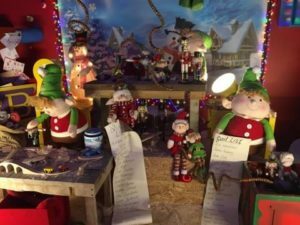 This is a nice experience for younger children who find Santa a little overwhelming. If, like me, you haven’t taken a good photo, Santa is more than happy for a re-take at the end! In the toy shop, you can choose one toy. They were set out by age, with a good selection of good quality toys available. The lanyard is then marked to ensure every child has received a toy. Both Henry and Eliza really enjoyed the experience and were very pleased with their toys (there was quite a lot of deliberation by Eliza as to what to choose!). What’s more we chose our Christmas Tree (real, both potted and sawn as well as artificial) and some other Christmas decorations, which are now in pride of place. Both kids really enjoyed their day.